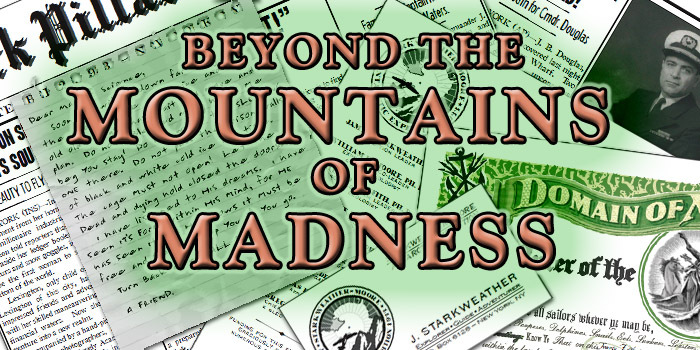 In 2010 and 2011, Michael Fanara of Little Ferret Films created and shared a collection of high-quality prop handouts tailored to enhancing the play experience for several popular Call of Cthulhu scenarios and campaigns. 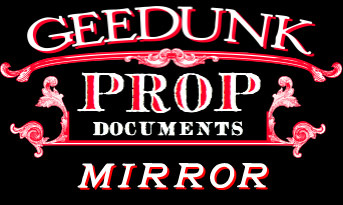 These were released under the “GEEDUNK Prop Documents” banner and made available for free under a Creative Commons Sharealike license. For folks familiar with the extremely high standards for handouts set by the H.P. Lovecraft Historical Society (whose work can be found in several Miskatonic River Press publications and on their website cthulhulives.org), Michael’s work achieves a very similar standard. This makes the GEEDUNK Props collections a very valable resource for running some of the most played Call of Cthulhu tales. Sadly, however, the GEEDUNK website went dark some time in 2012 and these excellent resources have been hard to find since that time. In the interests of keeping the GEEDUNK props available to the general public, Cthulhu Reborn has chosen to mirror them all here on this page. This by no means constitutes an attempt to claim this work as our own — this is most assuredly the work of Michael Fanara, republished here as a mirror to his (now-dead) site. This republication is made under the same licensing terms cited on the original GEEDUNK web page (see the bottom of this page) and explicitly identifies that the majority of the props linked to from this page make heavy use of fonts created by the H.P. Lovecraft Historical Society. Under no circumstances may these props be used for commercial purposes without prior written permission of Michael Fanara. 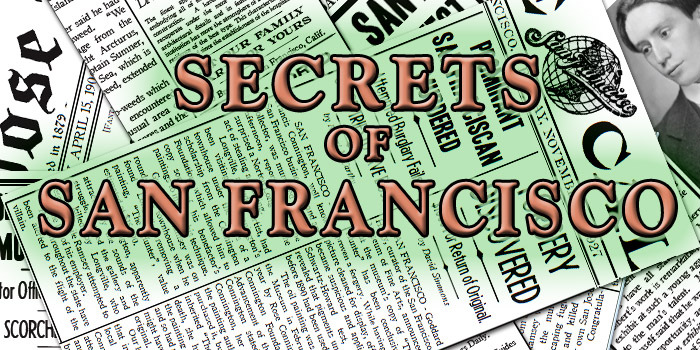 In 2006 Chaosium published the Call of Cthulhu sourcebook Secrets of San Francisco which includes four scenarios. The GEEDUNK Props set for this book includes newspaper clippings upgrading the handouts for three scenarios (“The Ferry Ride”, “”The Westchester House”, “Beyond the Edges”). Hi Paul … no I don’t think it’s just you; I also had trouble trying to figure out how to print out the PDF. On the other hand I know it *can* be done, since I have seen someone’s finished version, which looked great. I will get in touch with Mike (the creator of the prop) and ask him how it’s supposed to work. Ty using ‘print as image’ in your acrobat settings – that might work. I am using Adobe Reader and I don’t see a “print as image” setting. Oh well, maybe i can “force fit” it. make some pages a graphic and cutpasta! 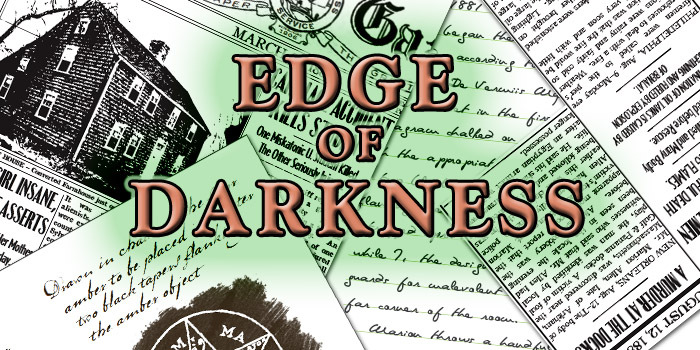 Anyone else having problems with PDF layers in the Edge of Darkness clippings file? Can’t seem to print without layers overlapping. There’s a password for changing layers in this PDF. 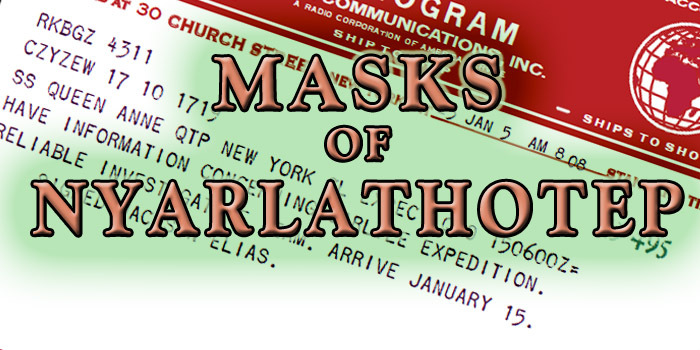 The Cthulhu Dark Ages website don’t exist anymore. Anybody knows if there is a mirror or if Pagan Call is available anywhere else? I tried Internet Archive Wayback Machine, but only the main page was stored. 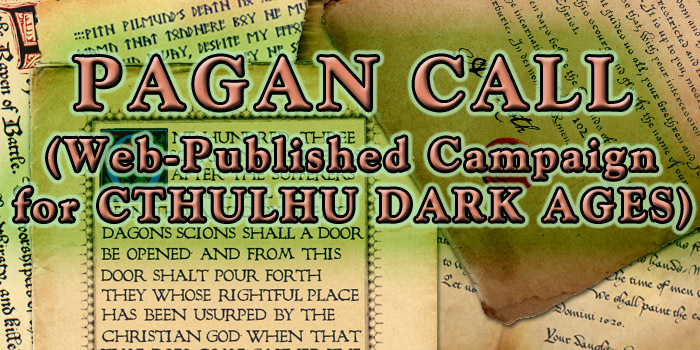 I have copies of the Pagan Call PDFs and would happily host them here on Cthulhu Reborn … if someone could track down the original authors and get their permission. The files are copyright by Stéphane Gesbert and others, so I guess anybody would need to get their permission before mirroring them. Dang, these are pretty awesome. Thanks for the hard work! Going to use all of the Edge of Darkness props for our next adventure.